Excessive mold indoor mold development can ruin your South Jersey home, and it can threaten your health and your family’s health. If you have discovered an indoor mold problem in your home in Southern New Jersey, then you are probably researching what to do next. Dealing with a mold problem can be a stressful task, especially if you are unfamiliar to the process. 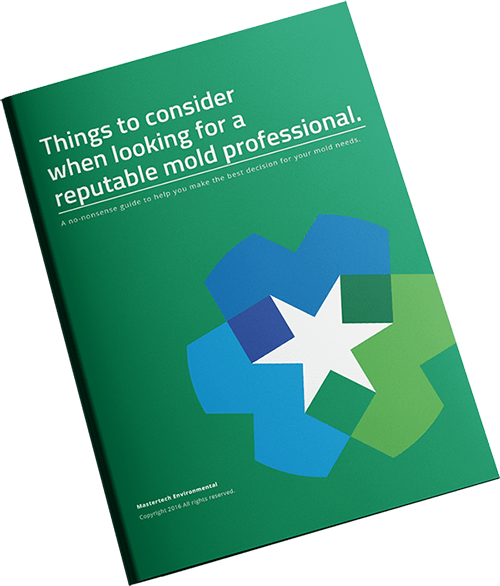 Do I Need to Hire a South Jersey Mold Professional? When it comes to mold, safety should be the priority. Armed with a few tips and tricks, homeowners should be able to handle small areas of minor mold growth. Typically areas approximately 10ft x 10ft can usually be cleaned by a homeowner with some guidance. However, if, at any point, cleanup seems overwhelming, you should contact a professional. Excessive mold develop in large areas of your home should really be left to the professionals. A trained and certified mold removal company in Southern NJ will be able to safely and effectively complete the cleanup. More importantly, a professional mold removal company in New Jersey will have the necessary skills and tools to get to the bottom of the moisture source to ensure that the mold does not grow back in the future. Unlike most other service industries, a poorly executed mold remediation can affect you and your family’s health and cause expensive property damage. A reputable New Jersey mold removal and mold testing professional will have the necessary tools, skills and knowledge to safely and effectively address your mold problems. While it is important to hire a professional, please keep in mind that you need to hire a reputable professional that you can trust to get the job done right the first time. You need to do your research to make sure that you find a a mold remediation company in South Jersey that you can trust to get the job done right the first time. Here are some things to consider if you are looking for a reputable mold professional in New Jersey. Online ReputationYou can pretty much find anything on the internet nowadays. More importantly, it makes it easy for consumers to share their experience (good or bad) with brands, companies, places, etc. This insight can really help in setting the tone for what a company is all about and the quality of their work.A company’s online reputation is a good starting point for your mold removal research. Read reviews on Angie’s List, Google, Facebook and anywhere you can find them. Find out what past clients have to say about their experience, and see if it matches your expectations of a company that you can trust with your South Jersey home. Industry Training, Certifications and InsuranceJust because a company claims to experts in the mold removal and mold inspection industry, does not mean they are qualified. Mold inspectors and mold remediation technicians in South Jersey should be properly equipped with the appropriate tools, skills, knowledge and certifications. You should check to make sure that the company is a licensed New Jersey Home Improvement Contractor. It is a requirement that has to be met in order to be able to perform professional mold remediations in New Jersey. Every mold remediation professional in New Jersey should be able to produce their NJ HIC Lic. # upon client request. Ask the company about their mold remediation process. A proper mold remediation is defined by 3 core steps. It is important that each step is completed thoroughly and properly to ensure a safe and effective mold remediation. In order to guarantee a successful cleanup, the the moisture source needs to be identified and fixed. Where there is mold, there is an underlying moisture source feeding the growth. Your mold remediation company should be able to get to the bottom of where the moisture starts and stops. If the moisture problem is not resolved, mold re-growth is inevitable, despite a successful cleanup. One of the very first steps during a mold remediation project is setting up proper containment to isolate the areas of concern. By isolating the problem areas, technicians can protect all clean, unaffected areas and prevent cross-contamination. Without containment, mold spores that become airborne (which will happen once work begins) can land on and contaminate virtually any surface, lead to cross contamination and cause your mold problem to spread. In many cases, mold can be effectively removed from the surface of building materials by following the IICRC S520 Mold Remediation Protocol. However, depending on the type material and the severity of contamination, some building materials may be deemed non-salvageable and must be removed and safely disposed of. Mold technicians should be trained in the most advanced cleaning and demolition techniques in order to ensure a safe, effective mold remediation. Don’t be shy about asking for references. If a mold remediation company has successfully provided a mold cleanup service to happy and satisfied clients, the company should have references. Ask for a few from clients who were in a similar situation as you (similar area of concern, similar NJ region, etc.). Ask if they have any clients who are willing to actually talk to you about their experience with the company. If your mold remediation company has identified all potential moisture sources and performed proper mold remediation, they should provide a warranty. It’s that simple. Your mold remediation proposal should always include thorough and proper cleanup of the existing mold as well as recommendations for preventative measures to discourage recurrence. If your mold remediation is executed correctly the first time, the mold should not come back. When dealing with the remediation of micro organisms and bioaerosols, it is always recommended that a thorough inspection and mold testing be performed after cleanup. This will ensure that the job was done right and the property is safe. Once you’ve chosen a mold remediation company, let them know that you are considering Post Remediation Testing. This will encourage them to not cut corners and do the best job possible. If you’ve discovered a serious mold problem in your Southern New Jersey home or business, you should consider hiring a professional South Jersey mold remediation company. Before hiring just any mold removal company, you should do some research so you can set reasonable expectations of you want out of a company. After all, your health and property is in their hands.